The Chicago White Sox made their pitch for Bryce Harper and took a big swing at landing Manny Machado. 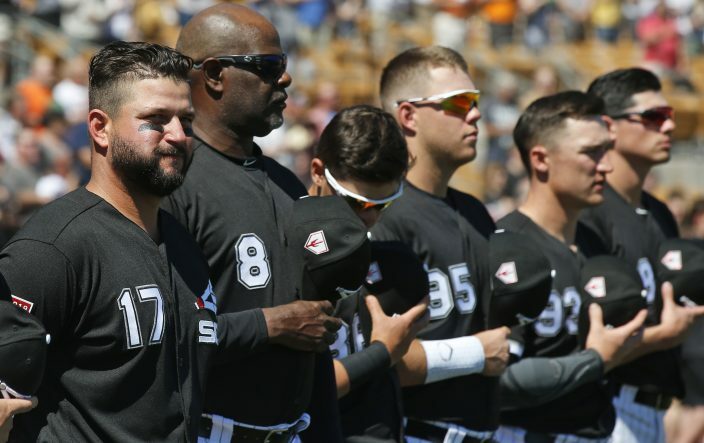 Though they went 0 for 2 trying to sign the superstar sluggers, the White Sox enter the season still believing they are setting themselves up for success. The big reasons for that are the promising young players on the roster and in the pipeline. "We got a great group of guys in the farm system, some great arms and some great bats," shortstop Tim Anderson said. "I think we're gonna be just fine." The White Sox have had six straight losing seasons and their only playoff appearance since the 2005 World Series championship season was in 2008. They went 62-100 in finishing fourth in the AL Central for the fourth year in a row and wound up with their highest loss total since the 1970 team dropped a franchise-record 106 games. They also set a major league record by striking out 1,594 times. Adding Harper or Machado would have accelerated a rebuilding project entering its third season. 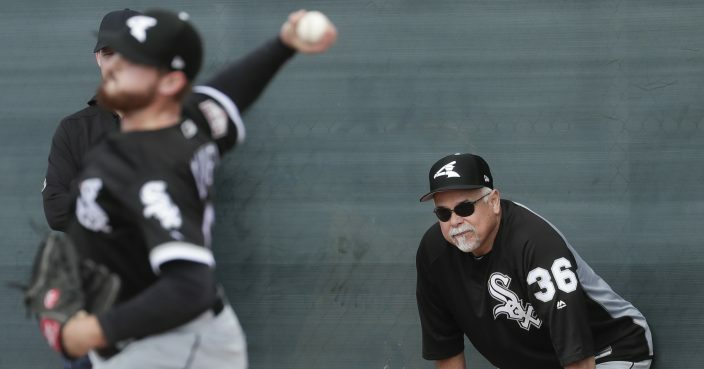 But either way, the White Sox are counting on young players such as infielder Yoan Moncada and right-hander Lucas Giolito to take a few steps forward. And if prized outfielder Eloy Jimenez performs as advertised, that will go a long way toward easing the sting of the disappointment in free agency. 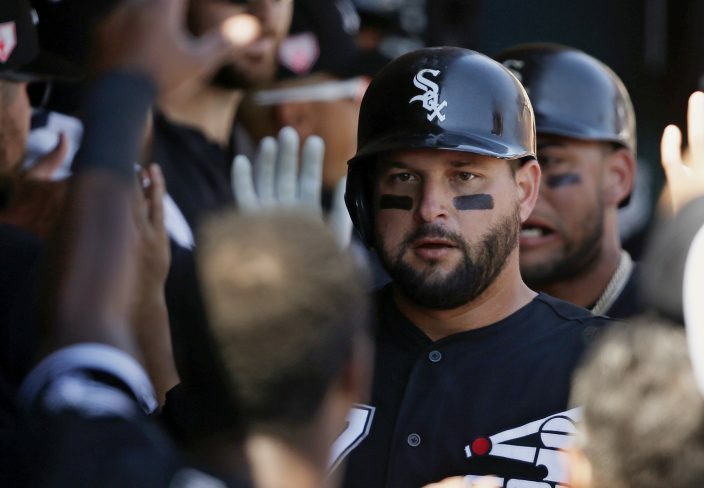 "At the end of (last) year I saw a team that was full of good players playing the game the right way, playing clean," newcomer Yonder Alonso said. "I saw a lot of good." Chicago opens the season at Kansas City on March 28 and its first home game is April 4 against Seattle. While Machado won't be calling the South Side home, Chicago acquired his brother-in-law Alonso in a trade from Cleveland and signed his good friend Jon Jay. Both players figure to bring some stability to the lineup as well as leadership to the clubhouse. Jay is a.285 career hitter in nine seasons. Alonso, who is expected to share time at first base and designated hitter with Jose Abreu, has a .265 average, 90 homers and 389 RBIs in nine seasons. The White Sox also added right-hander Ivan Nova to their rotation and righties Kelvin Herrera and Alex Colome to their bullpen. The door at least might be open for Jimenez to start the season in the majors. A person familiar with the situation said Wednesday the White Sox are nearing a $43 million, six-year contract with their highly regarded prospect. The contract would include team options for 2025 and 2026 that if exercised would make the agreement worth $77.5 million over eight years. Jimenez was optioned to Triple-A Charlotte on March 13. Without the deal, the White Sox would have to keep him in the minors for the first 20 days in order to push back his free agent eligibility by one year until after the 2025 season. Jimenez was a key part of the trade that sent pitcher Jose Quintana to the crosstown Cubs during the 2017 season. And he tore it up at Double-A and Triple-A last season, combining for a .337 average, 22 homers and 75 RBIs. 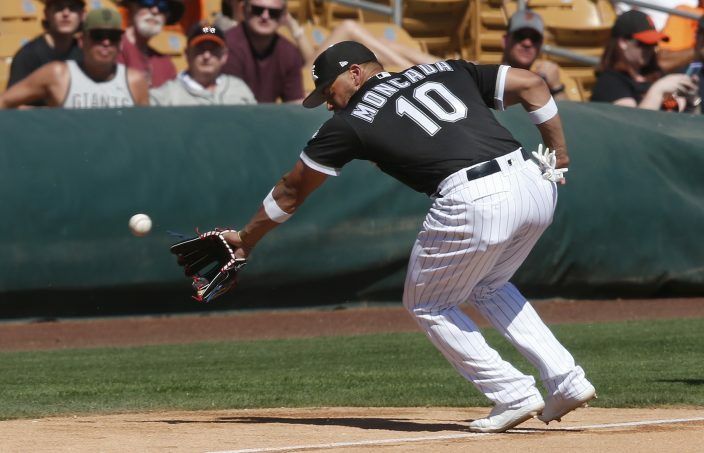 The White Sox hope a switch to third base will help Moncada cut down on the errors after he led all second basemen with 21 in his first full season. He also retooled his approach at the plate after striking out 217 times — more than anyone else. A big chunk came with him keeping the bat on his shoulder rather than swinging at a borderline pitch. 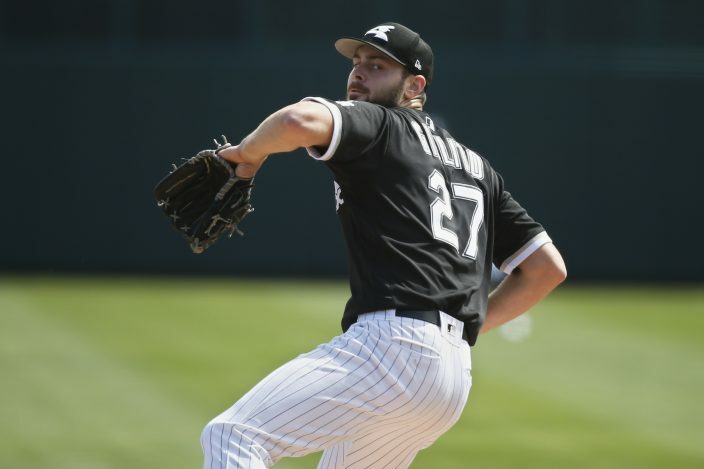 Giolito's development will also be critical. He was 10-13 with a major league-worst 6.13 ERA in 32 starts in his first full season. One big bummer for the White Sox is Michael Kopech won't be available this season. The 22-year-old right-hander got called up last season and made four starts before having Tommy John surgery on his pitching elbow in September. He is expected to be ready for the 2020 season. Kopech was drafted by Boston in 2014 and was a key figure along with Moncada in the trade that sent Chris Sale to the Red Sox in 2016. Abreu is looking to bounce back in his final season before becoming eligible for free agency. Though he made his second All-Star team, he got hurt in the second half and finished with 22 homers, 78 RBIs and a .265 average — all lows since arriving from Cuba in 2014. He had at least 100 RBIs in each of his first four seasons. AP freelance writer Jack Thompson in Glendale, Arizona, contributed to this report.